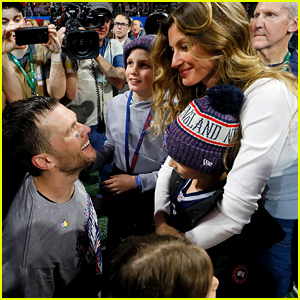 Tom Brady‘s family joined him on the field for a big celebration after the New England Patriots’ win during the 2019 Super Bowl on Sunday (February 3) in Atlanta, Ga. 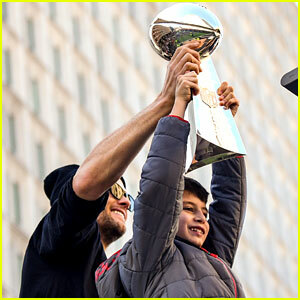 The 41-year-old quarterback held his six-year-old daughter Vivian in his arms while giving a post-game interview and accepting the Vince Lombardi trophy on behalf of his team. 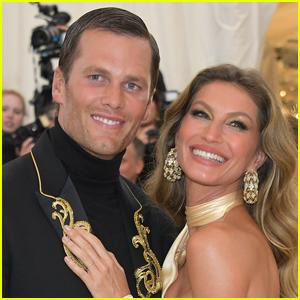 Tom‘s wife Gisele Bundchen was also on the field and his sons Jack, 11, and Benjamin, 9, were spotted in some photos as well. 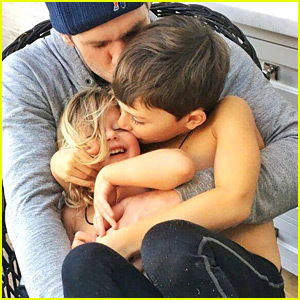 Last year, Tom created headlines after he kissed his son on the lips in a video shared to his social media pages. 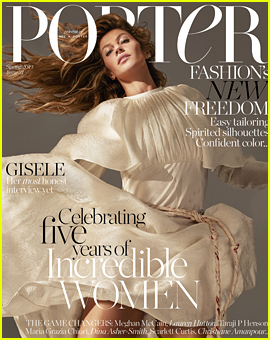 He also applauded fellow athlete David Beckham for doing the same with one of his kids.